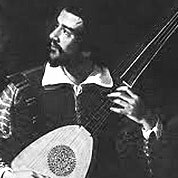 Casare Negri was a renowned Italian dancing instructor of the secong half of the 16th century. 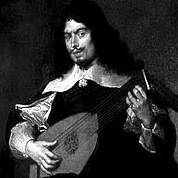 His important treatise on the dance, Le gratie d’amore, contains 43 most popular dance tunes of the day in both lute and standard music notation. 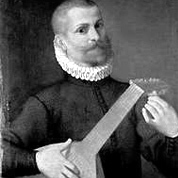 Elias Mertel was a German lutenist and composer of the Late Renaissance era. He was originally from Wangenbourg and worked under Friedrich IV until 1595. 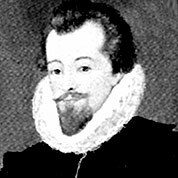 He published collections of lute music, notably Hortus Musicalis in Strasbourg in 1615 including fantasies, preludes and fugues.